It has been long time since I first asked to myself how and why I get always obsessed with the things I do. The main dilemma is wether the obsession is the condicio sine qua non that turns on my interest, or it is the thing itself that grows on me. Whatever the process of total immersion is, so far my curiosity has been schizophrenically directed to two main areas, namely fashion and performance. 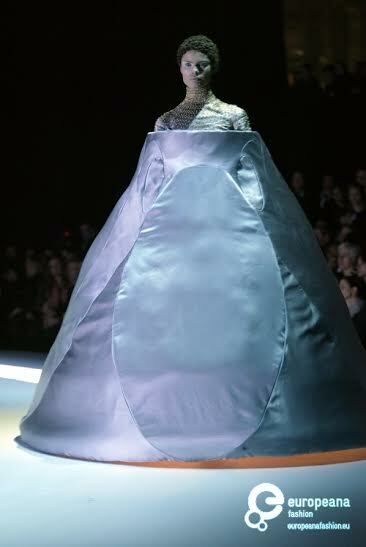 Two dimensions which find an exceptional reconciliation under the name of and the long-awaited forthcoming V&A's exhibition dedicated to Alexander McQueen, which will be on from next March 2015. Two weeks ago I started my (late) summer internship at the V&A Research Department, under the brilliant mentoring of Claire Wilcox and her team. Not much leaked out from the email confirming I had the internship I had applied for. I was asked to be at the Secretariat Entrance by 10 o' clock on the 15th September 2014. Twenty minutes later my first day had started, I knocked out the photocopy machine (but they assured me it happens all the time!) 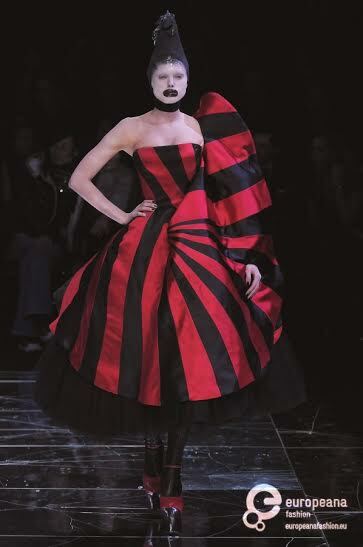 and by 12pm I had that click meaning I was totally overwhelmed by (Lee) Alexander McQueen's story and drama. There is something very dramatic on working on Alexander McQueen's exhibition. And this drama is retained not only in the tragic end of the designer, but also in his creations throughout his nineteen years of extraordinary career (fig. 1, 2, 3). Watching all his catwalk shows, from the Central Saint Martin's Graduate Show in 1992 to his posthumous FW 2010 collection “Angels & Demons”, it emerges his development and exceptional talent of combining the forces of Eros & Thanatos (love and death) in visionary garments. The immense respect showed by his ex-collaborators when interviewed for research, such as Nick Knight and Ruth Hogben from SHOWstudio (Fig.4), enhanced the understanding of how, while provocative although solemn in his fashion shows, Lee's persona was overtly and desperately human. This accordance of contrasts would be also at the core of the V&A's exhibition as suggested by the title Savage of Beauty. Lee Alexander McQueen had the unparalleled ability to turn imagery of decay and transgression into exceptionally beautiful garments. 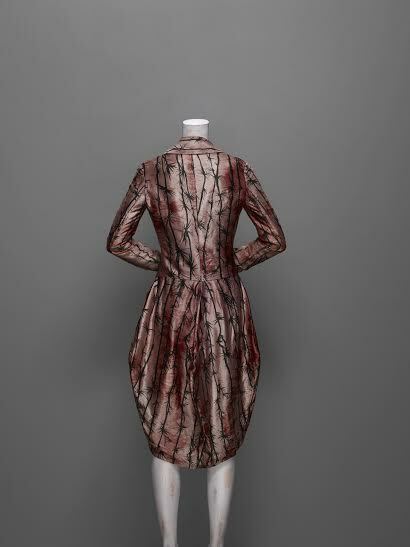 In my tour at the Conservation Department, I was very lucky to see some of the most iconic Alexander McQueen's garments close enough to reveal intimate details, such as the pink frock coat printed in thorn pattern. 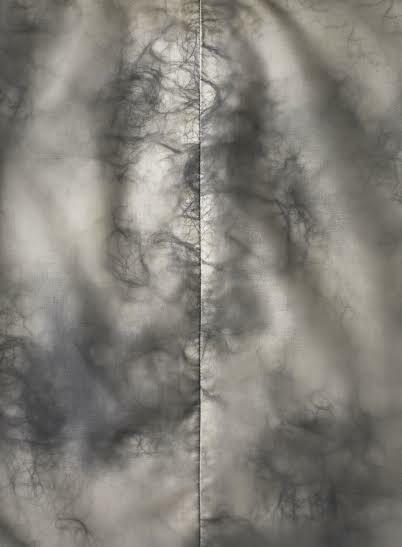 Conceived as part of the MA graduation show titled Jack The Ripper Stalks His Victim, 1992, the lining encapsulates human hair, in a repulsive, yet attractive mechanism (Fig.5-6). As the V&A's Costume Display Specialist Lara Flecker confidentially highlighted “it will be a dream show. In every piece there is something, that makes you think he was an extraordinary man”. Originally staged at the Metropolitan Museum of Modern Art in New York in 2011, Savage Beauty fashion exhibition will find a new home in London at the V&A. The new venue adds an autobiographical link to the British fashion designer, which would help the visitor to untangle the multiple knots of interpretation of what will be a truly spectacular exhibition.